Battery operated light duty trimmer. Ideal for light precision trimming. Compact size easily fits in the palm. Includes #40 fine blade set. 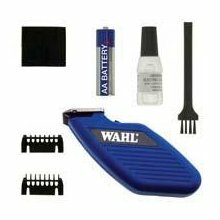 Includes on AA battery, cleaning brush, trimmer oil, blade guard and 2 attachment guide combs.